Is my little guy getting enough iron? My daughter doesn’t like milk or cheese. Should I be worried about calcium? I forget to give my child their Vitamin D half the time! Is that a problem? 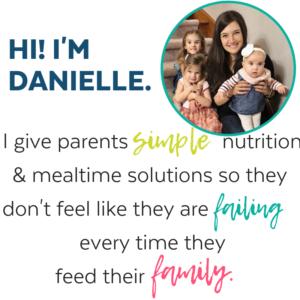 One of the biggest reasons parents reach out to me is because they are worried (maybe even freaking out) about their child’s eating. And ultimately, their nutrition. 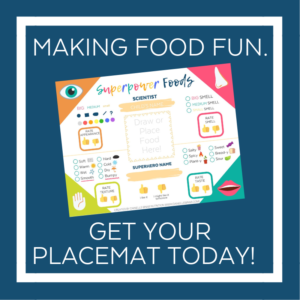 It can be difficult to get the whole spectrum of nutrients, especially if we have picky eaters! So I tend to focus on common nutrient deficiencies in children instead of obsessing about a longer list. 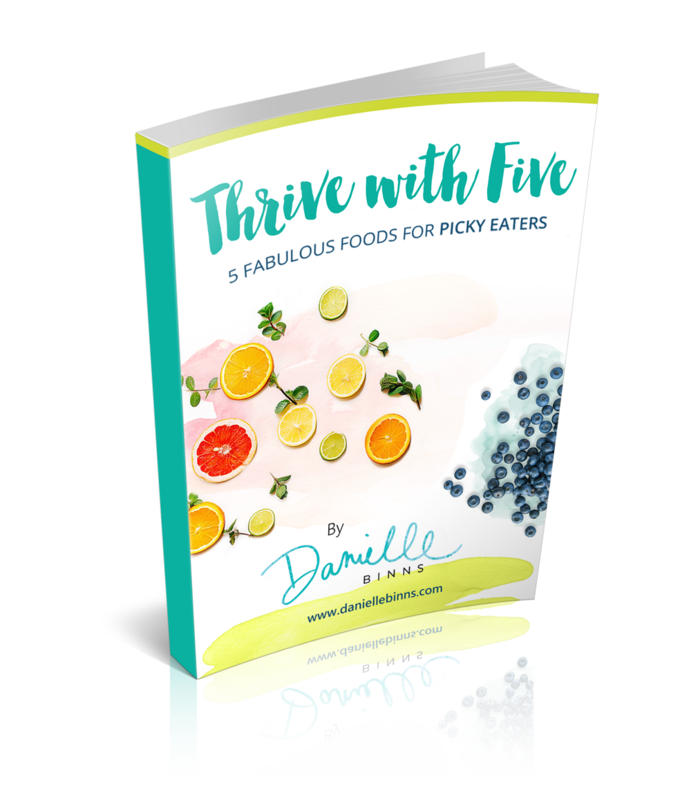 Vitamins and minerals are needed for optimal growth and play many functions in a growing body; from bone development to boosting the immune system. Some of these nutrients work together synergistically for maximum absorption. So when one is depleted it can affect the function of others. Making sure our littles ones are getting what they need is crucial…and also concerning for parents! But I know there’s always something to worry about. And worrying is exhausting. So I only want parents to focus on the nutrients that REALLY MATTER. 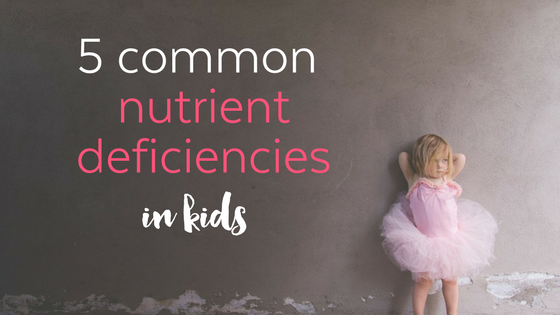 Starting with the 5 most common nutrient deficiencies in children along with dietary sources to help bridge the nutrient gaps. Iron is needed for many functions in the body and is a component of hemoglobin (which helps carry oxygen from the lungs to the rest of the body where it is used and stored). It’s important in muscle function as it is found in the myoglobin, a muscle protein, and used for the contraction of muscle. Some don’t realize iron is also crucial for a growing child. 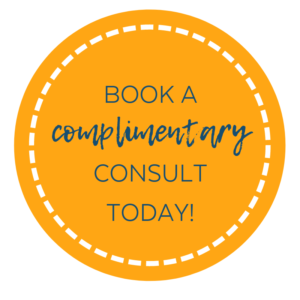 Symptoms of an iron deficiency can be present in a number of ways; anemia, irritability, lethargy, impaired cognitive function, poor feeding and weakness. Iron stores start to diminish between 6 and 12 months of age (younger for premature or low birth weight children). And if a child is picky eater with limited iron intake, appetite can be hindered which further limits food consumption. Dietary sources of iron include red meat, poultry, eggs, beans, lentils, dark green leafy vegetables and seeds such as pumpkin and sesame (tahini sauce is great). Try these Green Eggs no Ham for a double whammy. Looking for getting ways to more iron into your child? Here are 7 ways to boost iron intake and absorption. Vitamin D (also known as the sunshine vitamin) is another common nutrient that children tend to be deficient in. It is crucial in the development and growth of bones, hence an adequate amount helps children avoid bone malformations such as rickets, osteomalacia, and other bones diseases such as osteoporosis later in life. Yet it’s often forgotten that Vitamin D works together with vitamin K2 and magnesium to aid the absorption of calcium. Without vitamin D, there is a chance of a calcium deficiency, or calcium being shuttled into other parts of the body other than the bones (such as soft tissue where it will calcify and cause problems). Vitamin D also plays a role in immune function, and a deficiency in this vitamin may be involved in the development of certain allergies and diseases such as respiratory infections and autoimmune diseases Source. Symptoms of a vitamin D deficiency in children include; frequent bone fractures/ bone pain, muscle weakness, difficulty thinking clearly and constant fatigue. Widespread vitamin D deficiency has also been linked to the childhood epidemics of autism, asthma, and diabetes, both type 1 and 2. 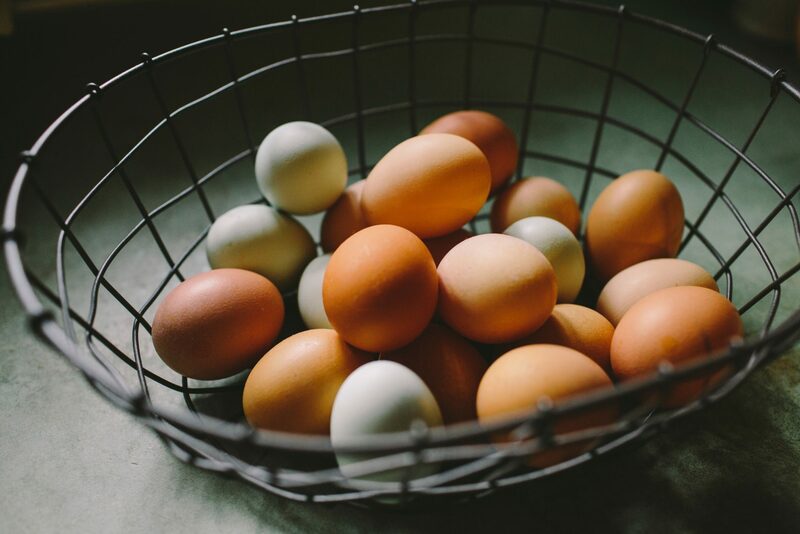 Dietary sources of vitamin D come from sustainable fish, egg yolks, beef liver, mushrooms and almonds. Another way for children to get vitamin D is to spend time outside in the sunlight. This will aid in the absorption of calcium and boost immunity. Since we do not get much sunlight during the winter months, it’s important to supplement our children (and ourselves) to ensure no nutrient gap. Ideally after testing to determine severity of deficiency. Calcium takes on many roles in a child’s growing body such as; the development of strong bones and teeth, muscle function, heart regulation, and enzyme functions. Not to mention the transmission of messages throughout the central nervous system. If there is a lack of calcium entering the body, it will deplete calcium from the bones to use for other functions. The result: becoming more susceptible to fractures. Symptoms of a calcium deficiency in children often results in easy fracturing of the bones, weak and brittle nails, muscle cramps/spasms, confusion or memory loss and a numbness or tinging sensation in the hands and feet. The good news is that your kids don’t need to be milk (or dairy) lovers to get their calcium! 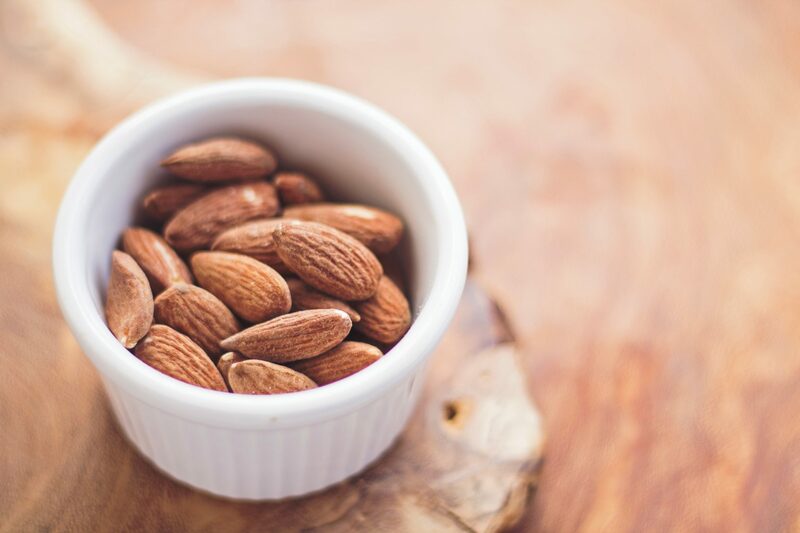 Some great non-dairy dietary sources of calcium include dark leafy greens, fish (especially canned salmon and sardines with bones), and nuts and seeds such as almonds and sesame seeds. Try making salmon fish cakes it you don’t think your little one will go for it from the can. And if mercury in fish has you worried (I told ya the list of concerns with kids is endless! ), this will ease your mind. Vitamin A is needed for a growing child’s vision and protecting the eyes, it is used to help maintain healthy skin, teeth and bones, and is important for the integrity of cell membranes. It’s worth noting that Vitamins A and D need each other for proper absorption as the Weston A. Price Foundation explains here and below. …there is evidence that without vitamin D, vitamin A can be ineffective or even toxic. But if you’re deficient in vitamin A, vitamin D cannot function properly either. Vitamin A deficiency can lead to eye damage, night blindness and even permanent visual blindness. 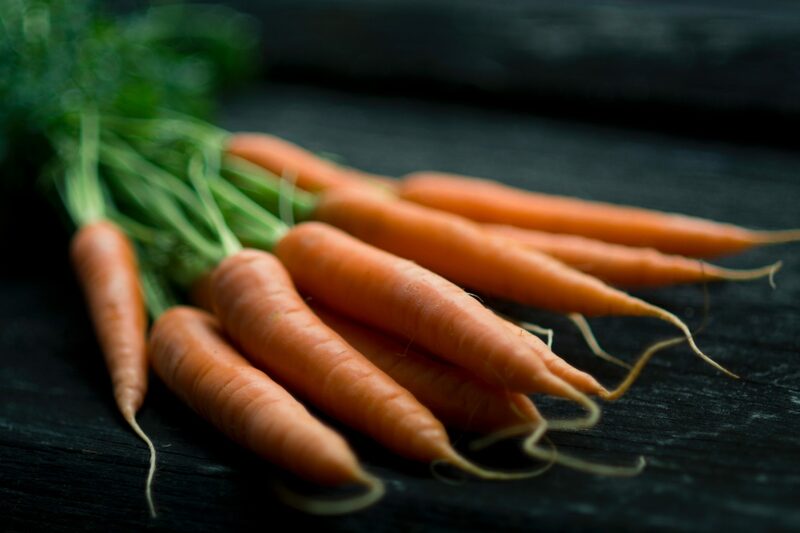 3 ounces of beef liver contains 27,000 IU of vitamin A….to get the same amount of vitamin A from plants (assuming a 3% conversion of beta-carotene to vitamin A), you’d have to eat 4.4 pounds of cooked carrots, 40 pounds of raw carrots, and 50 cups of cooked kale! Crazy right? 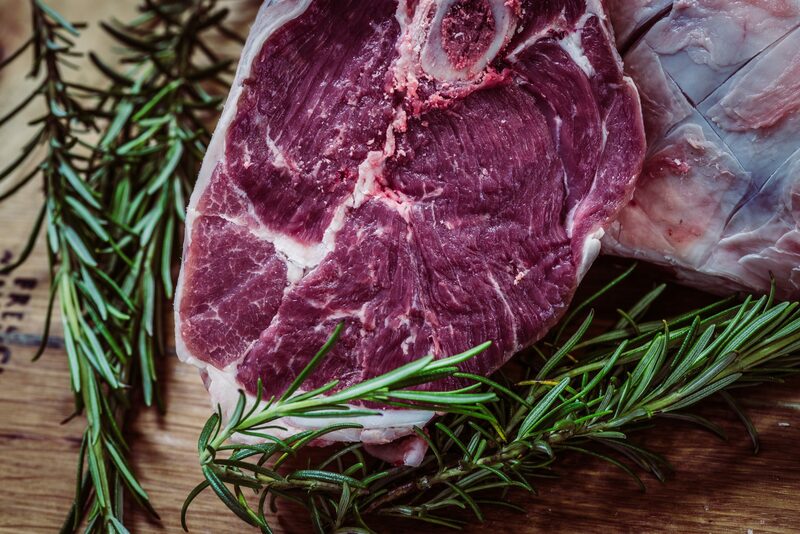 So you’re better off opting for animal products like liver and grass-fed dairy (butter, yogurt, milk, cheese) which have significant amounts of Vitamin A – no conversion needed. Our family (including both kids) consume a quality Cod Liver Oil to meet our Vitamin A/D demands (and other nutrients). For those outside Canada, here are few options from Green Pastures. The butter is a great alternative. Vitamin B12 is a more common deficiency in children (and adults) than statistics indicate. This vitamin is essential for the formation of blood as well as cognitive and nervous system function. Vitamin B12 also helps to make DNA which is the genetic material that we are made of! Making sure our young one’s vitamin B12 levels are up to par is crucial. Especially as a deficiency can lead to megaloblastic anemia (a disorder in the blood that enlarges red blood cells). Symptoms of a vitamin B12 deficiency includes impaired brain function, weakness, irritability lack of appetite, delayed growth or learning/development delays. 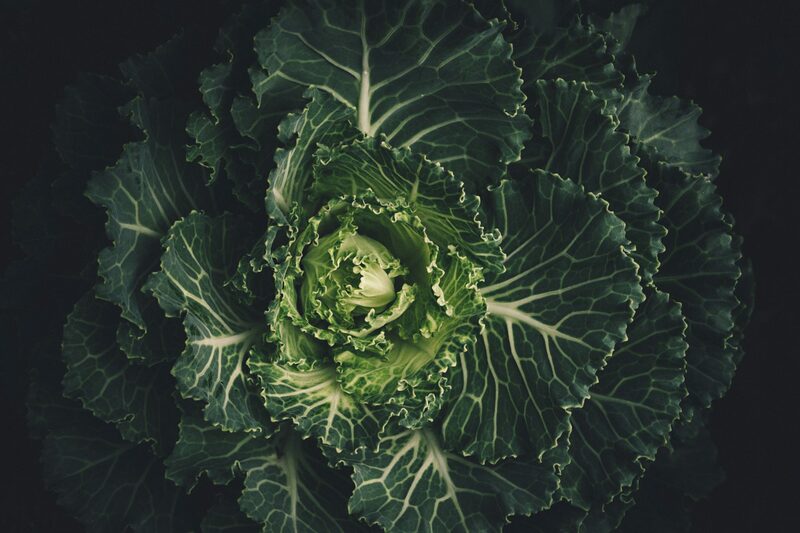 It’s also connected to elevated levels of homocysteine in the body (homocysteine can lead to several cardiovascular conditions as they get older). A common myth amongst vegetarians and vegans is that it’s possible to get B12 from plant sources like seaweed, fermented soy, spirulina, brewer’s yeast, etc., but many of those plant foods actually contain B12 analogues called cobamides that block the intake of and increase the need for true B12. This post wasn’t intended to send your stress levels through the roof! I just know this is stuff you worry about and wanted to provide some clarity. For peace of mind, have your child (or yourself) tested if you believe they are experiencing any of the symptoms listed above. 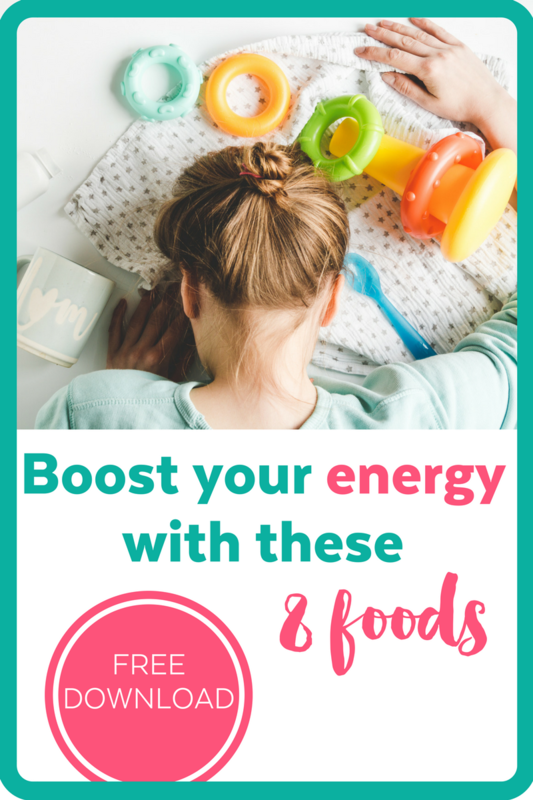 And try out some of the recipes (or supplements) recommended in this post, and if you have any questions you know where to find me.